Water is one of the elements that is essential for sustaining life. Your indoor plumbing system makes access to a fresh supply of water much easier, but the quality of the water pumped through your plumbing system might be lacking. 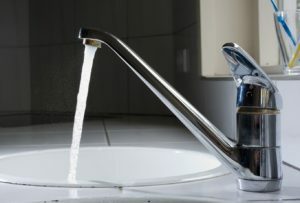 Many homes are affected by hard water. A hard water supply can have some benefits, like a lower sodium content and distinct taste. Unfortunately, these benefits do little to outweigh the negative aspects of having hard water flow through your home’s plumbing system. Educate yourself on the effects of hard water so that you can take action to eliminate the potential damage this type of water might cause within your home. A home’s water supply can be classified as being hard if the mineral content of the water is above average. Hard water occurs when the minerals calcium, magnesium, and manganese are dissolved into your home’s water supply. Since most municipal and private water sources stem from groundwater stores, the mineral content of the soil in your region can contribute to hard water. If your home is connected to a municipal water supply, then you can call your local water superintendent or contact a representative at city hall to ask about the hardness of your water. If you are unable to get a straight answer or your home is connected to a private well, then you can invest in a testing kit that will measure the hardness of your water. Once you know how hard your home’s water actually is, you can take action to rectify the problem. Although hard water poses no threat to human health, it can be extremely detrimental to the plumbing fixtures and pipes throughout your home. As hard water evaporates, the mineral-laden water leaves behind a film that is referred to as scale. This film can be seen on the surface of your dishware after washing and on the walls of your shower enclosure. Scale can begin to accumulate along the interior surfaces of your pipes. As the scale deposits grow, the diameter of your pipes becomes smaller. This increases the pressure of the water flowing through your home’s plumbing system and can result in ruptured pipes or leaks. Any appliances that have small nozzles or valves are especially at risk, like a dishwasher or washing machine. The mineral deposits left behind by hard water can easily clog up nozzles and valves, causing the appliances to malfunction. You don’t have to live with the harmful effects of hard water. Installing a water softener can be a simple and effective way to eliminate hard water from your home. Water softeners are designed to exchange the positively charged ions within your water supply (calcium, magnesium, and manganese) for negatively charged softening ions (sodium and potassium). There are two types of water softeners available for residential use. An automatic softener can be programmed to flush at a set time each day. Regeneration occurs when the system is flushed — allowing the exchange of ions required to soften your water throughout the day. The second type of water softener available to homeowners is a demand-initiated regeneration system. These water softeners are more efficient because they only begin the regeneration process when the existing supply of softened water has been depleted. 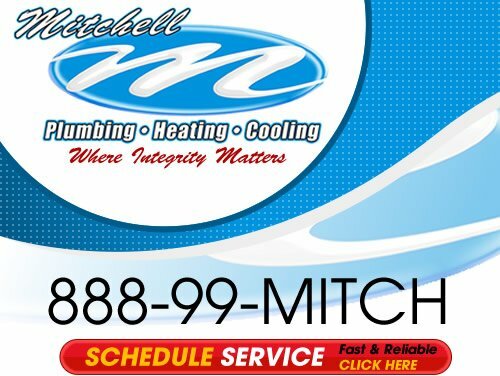 If your home is plagued by hard water, the plumbing repair professionals at Mitchell Plumbing, Heating & Cooling can help. Contact us to schedule an inspection to determine the extent of any hard water–related damage to your Pittsburgh plumbing system and to discuss options for eliminating hard water from your home. 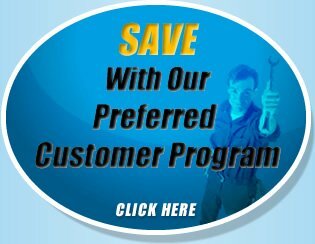 If you are looking for a professional hard water service in the Greater Pittsburgh area then please call us at the numbers listed below or complete our online request form.